Gina is an honors graduate of the Art Institute of Houston. She works as a fine artist, as well as a graphic designer. 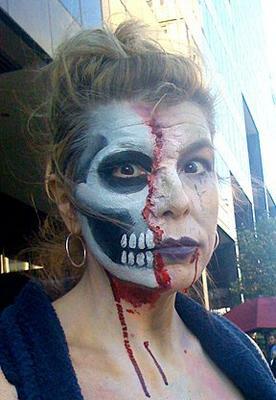 We use only FDA approved face / body paint for the skin. These water based formulas are specifically designed to be hypo-allergenic, gentle and easy to remove with mild soap and water. The brands we use are Snazaroo, Mehron, Wolfe Brothers and Ben Nye. We use only skin / makeup grade poly glitters. 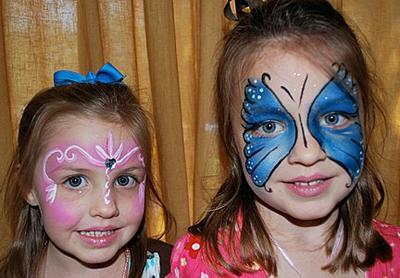 We offer the best face-painting in central Colorado. 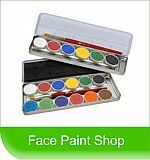 The talented face-painting artists of Zanypainter are dedicated to making your party terrific!